The Yamaha Factory Racing (A.Lowes / VD Mark / Nakasuga) has returned to be the fastest team in the days before the Suzuka 8 Hours. After leading all the tests held to date, the Iwata team won (2: 07.213) in the so-called ‘Supplementary Practice’, three training sessions that precede the main action of the weekend. If the same scenario is seen during the day on Thursday remains the rest of the weekend, the race will be exciting: Team Green Kawasaki (Haslam / Rea / Watanabe) signed the second fastest time to only 14 thousandths of the first classified, while Another factory, Team HRC (Jacobsen / Takahashi / Nakagami), occupied the third position. However, the Golden Wing brand was far away, almost one second behind the big dominators of the day. The top five was completed by the Musashi RT Harc-Pro Honda (Mizuno / Aegerter / De Puniet) and the Teluru.MotoUp RT (Viñales / Akiyoshi / Nagashima). As for the fight for the title of the FIM Endurance World Championship, these training revealed that the F.C.C. TSR Honda France (Foray / Hook / Techer), leader of the general and clear favorite, goes for all. They signed the seventh fastest time, well ahead of their rival in the battle for the crown: the GMT94 Yamaha (D.Checa / Di Meglio / Canepa, 15th). 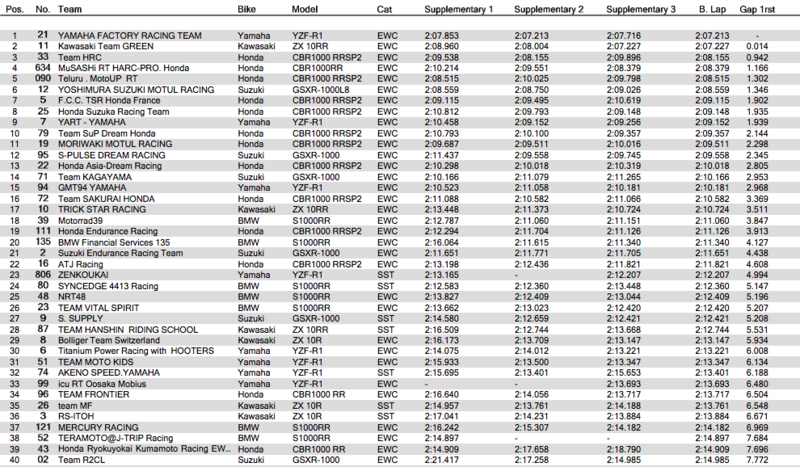 If they want to leave the FIM EWC with a title under their arm, they are bound to improve their performance starting tomorrow. 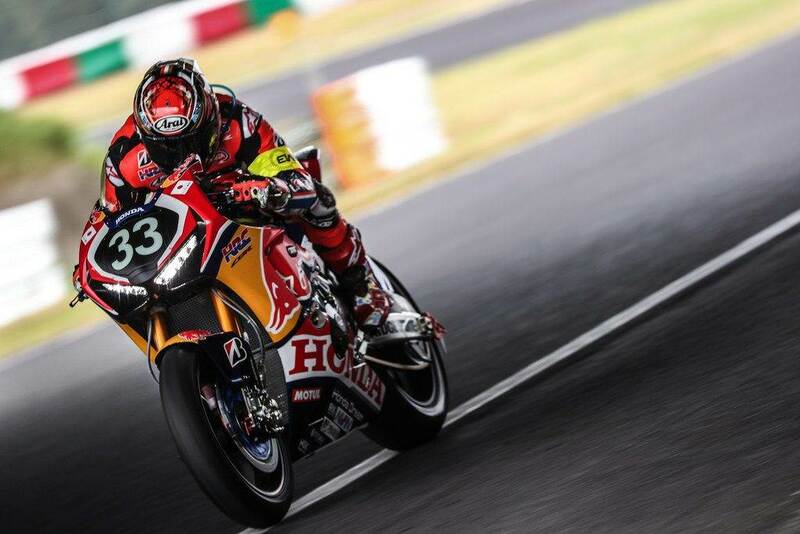 Do you want to know the details to follow live the 41st edition of the 8 hours of Suzuka? Click here.